The main development here in the last full week of October is the sharp rise in bond yields. US 10-year yields rose nine bp this week coming into today's session, which features the first look at Q3 GDP. The two-year yield is up four bp. European 10-year benchmark yields mostly rose 11-17 bp. UK Gilts were are the upper end of that range. Two-year yields are 3-5 bp higher. The odds of a Fed hike in December has risen this week and depending on precise assumptions about where Fed funds will trade, have risen around five percentage points to be a little over 70%. This does not seem to adequately explain the rising long end yields. We anticipate that a Fed hike would flatten the curve as has often been the case in monetary tightening cycles, and was dubbed the Greenspan conundrum in the last cycle in the early noughts. Equity markets were fairly resilient to the backing up of interest rates though most major equity markets moved lower over the course of the week. Losses were minor. The UK appears to be the worst of major markets, with the FTSE 250 off a little less than 2% before today's loss brings it closer to 2.8%. Enjoying a weaker yen, the Nikkei gained 1.5% for the week, with a third coming today. Despite today's 0.75%-0.85% loss today, the Italy and Spain are eking out minor equity gains. The US dollar is mostly softer today, but on the week it has edged up against most of the major currencies. The euro is the main exception. A little over $1.0900, the single currency is about 0.25% for the week. The yen is the weakest of the majors, off 1.4% this week. After moving above JPY105 yesterday, the dollar remained above it in Asia and Europe today. The Swedish krona has stabilized after yesterday's (exaggerated ?) shellacking. Its 0.5% gain today, leave it off by 1.3% for the week. Another feature of this week's activity has been the rise of commodity prices. Iron ore prices rose for the seventh day, the longest streak since 2013. The 10% gain this week is being attributed to Chinese demand amid an increase in steel output (despite the declaratory policy to cut capacity and output). Aluminum prices have also rallied strongly this week, for example, to five-year highs. Oil prices are an important exception. They are off 2.5%. There has been a flurry of economic data released today beginning in Japan. Headline and core (excluding fresh food) CPI fell 0.5% as expected, while the measure excluding food and energy slipped to 0 from 0.2%. It had been expected to hold up better. The unemployment rate slipped back to 3.0% from 3.1%. Household spending fell 2.1% (year-over-year) improving from a 4.6% decline in August. Although poor, the report was better than the Bloomberg median of a 2.7% decline. France and Spain reported Q3 GDP figures. France expanded by 0.2%, after contracting 0.1% in Q2. This was still a bit disappointing, and the details show that the swing in inventories accounts for the growth. On the other hand, net exports were a 0.5% drag. Spanish GDP rose 0.7%, in line with expectations and a tad softer than the 0.8% pace seen in Q2. 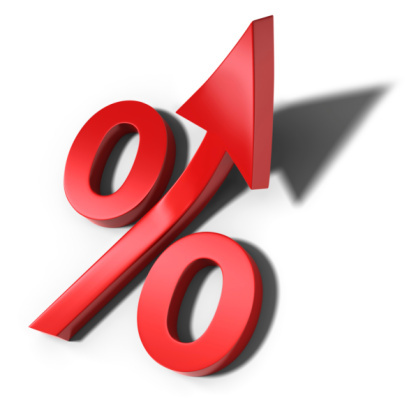 The year-over-year rate was steady at 3.2%. The pace of French growth is about 2/3 less at 1.1%. Germany, France, and Spain reported October CPI figures. We are waiting for the national figure that will be out shortly, but German states all reported an increased in the year-over-year pace. The national rate is expected to rise to 0.7% from 0.5%. Spain also reported firm CPI figures. The 0.5% year - the over-year pace was more than expected (~0.3%) after the flat reading in September. Although still low, Spanish inflation stands at a three-year high. Recall as recently as August; Spain was still in deflation (year-over-year decline in CPI). French CPI was unchanged at 0.5%. It was a little disappointing as the median expected a tick up. The aggregate figure for EMU will be published Monday. The rise in energy prices will lift the headline, but the underlying rate will still not be satisfying. Many suspect the core rate needs to get closer to 1.25% (from 0.8%) to make the ECB's leadership more confident. In terms of prices, a talking point today is news that Apple raised the price of some of its computers by 20%. Sterling has fallen 18.3% against the dollar since the referendum. The decline in the pound, which does not look over, will boost imported inflation and, given the UK's trade deficit in goods, will filter into higher CPI and lower real earnings. Better than expected data this week, including Q3 GDP, failed to give sterling any traction. At $1.2150, it is off 0.7% this week. The US reports Q3 GDP. That is the highlight before the weekend. Although the Atlanta and NY GDP trackers are for closer to 2.0% growth, the market appears to be looking for something closer to 2.5% (Bloomberg median 2.6%). There is some headline risk, but barring a significant surprise, look for the effect to fade. How the economy did in the July-September period has little if any impact on what the Fed decides in December (next week's FOMC meeting will likely produce a statement very much like September). One of the most important developments this year has been the Federal Reserve's recognition that trend growth has slowed in the US. It now estimates it at 1.8%. This means that despite what seems like slow growth relative to pre-crisis, trend growth is consistent with the gradual removal of accommodation.